Crock-Pot Cook' N Carry 6-Quart Slow Cooker Just $20.39! Down From $50! You are here: Home / Great Deals / Amazon Deals / Crock-Pot Cook’ N Carry 6-Quart Slow Cooker Just $20.39! Down From $50! Crock-Pot Cook’ N Carry 6-Quart Slow Cooker Just $20.39! Down From $50! Crock-Pot Cook ‘N Carry 6-Quart Slow Cooker Just $20.39! Down From $50! At Amazon, you can score this Crock-Pot Cook ‘N Carry 6-Quart Slow Cooker for just $20.39 down from $49.99 PLUS FREE shipping with Amazon Prime or for orders $25 and above! 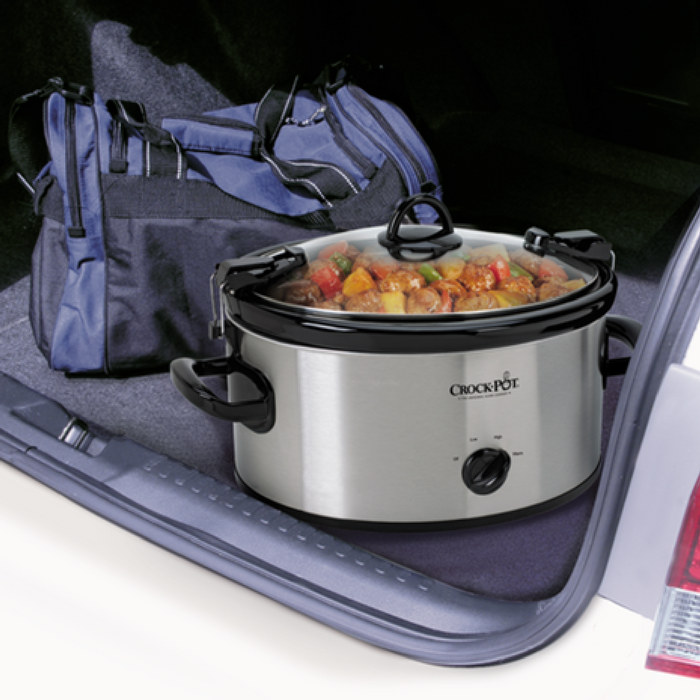 The Crock-Pot Cook and Carry Slow Cooker keeps up with your busy, on-the-go lifestyle. Turn the dial to ‘High’ and get a hot meal, snack, appetizer or dip in no time. Set it on ‘Low’ and tonight’s dinner can cook while you’re at work. Or use the ‘Warm’ setting during a get together with friends so your dish stays ready to eat until the party is over. No matter the recipe or the occasion, your Crock-Pot Slow Cooker keeps the temperature steady so your food is cooked to perfection, full of flavor and delicious. The secure-fitting lid and locking system create a tight seal between the stoneware and lid to ensure that up to 6-quarts of your secret recipe can go where you go with no hassle and no mess. Your car interior remains clean on the ride to your best friend’s house, company picnic or family reunion.